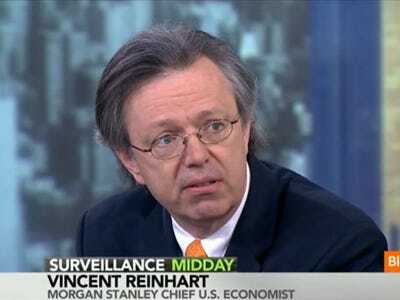 “Once upon a time, the Federal Reserve Chairman’s Semiannual testimony in fulfillment of the Full Employment and Balanced Growth Act (aka “Humphrey Hawkins”) was a marquee event for markets,” says Vincent Reinhart, Morgan Stanley’s Chief U.S. Economist and a former Federal Reserve insider.Reinhart is referring to the two-day testimony which Ben Bernanke will begin giving to the Senate Banking Committee on Tuesday. As you can tell from the tone, Reinhart expects the testimony, which includes economic forecasts, to be pretty uneventful. If there’s one topic anyone’s interested in, it’s the Fed’s process for rate normalization. In other words, we all want to know how the Fed plans to scale back easy monetary policy and allow interest rates to rise again. There is no easy answer, but a discussion from the chairman would be helpful. But do not expect one. Chairman Bernanke operates as a more democratic chairman than his predecessors. He typically shuns the spotlight. He does not talk about unsettled issues because it would give the appearance of front-running his committee. In his appearance next week, he will not even have a new forecast to talk about. Last month’s FOMC conclave was one of the four orphan meetings of the eight per year that neither include a survey of their economic projections nor end with a press conference. As a result, the economic rundown will most likely be based on submissions from late November. If there is any drama, it will be from a mistake during the question-and-answer period. And Ben Bernanke seldom makes those. Perhaps he’ll make a mistake. Business Insider will be covering the testimony live, so we’ll let you know if that happens.